Sequential factor screening. In contrast to most quant models with a linear combined score, our model screens stocks sequentially by each individual factor. Stock selection alpha. Unlike most quant models, the excess returns generated from our model are uncorrelated to the Fama-French risk factors like size, value or momentum. The model is derived from a fundamental stock valuation formula. It uses a proprietary valuation metric, profitability and leverage factors to determine the attractiveness of the individual stocks. 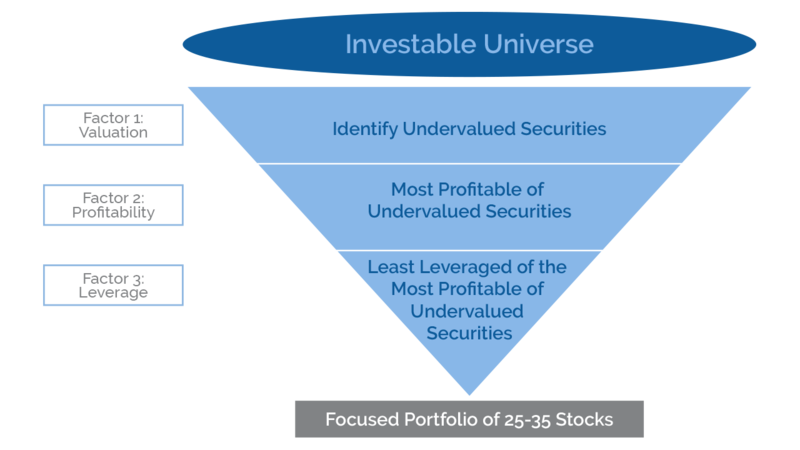 The portfolio is composed of 20-40 “undervalued” high-quality stocks. The quantitative model is run every three months.